It adds 4 new slots: an amulet, belt and two rings slots. 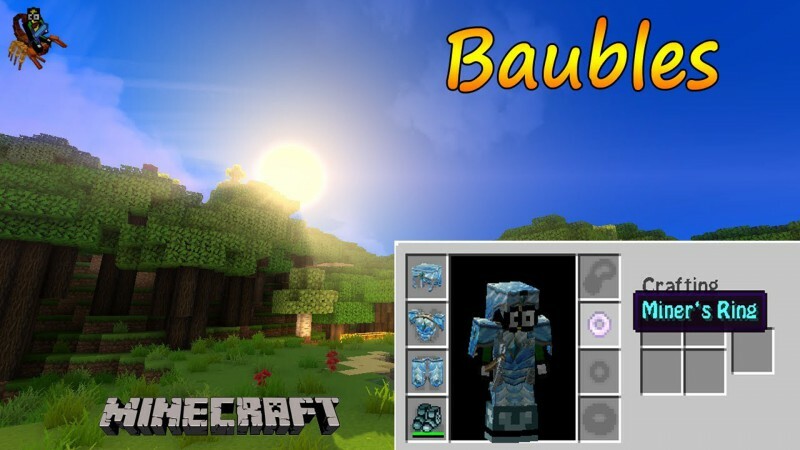 The baubles inventory is accessed by pressing the 'b' hotkey. It is probably a good idea to remap your normal inventory hotkey to the baubles inventory if you are going to be accessing it a lot. This mod adds very little content itself - it is intended to be an addon for other mods.